We are a specialist cleaning business based in Princes Risborough Buckinghamshire with many years of experience in the industry covering Buckinghamshire, Oxfordshire, Hertfordshire, Bedfordshire and Berkshire. 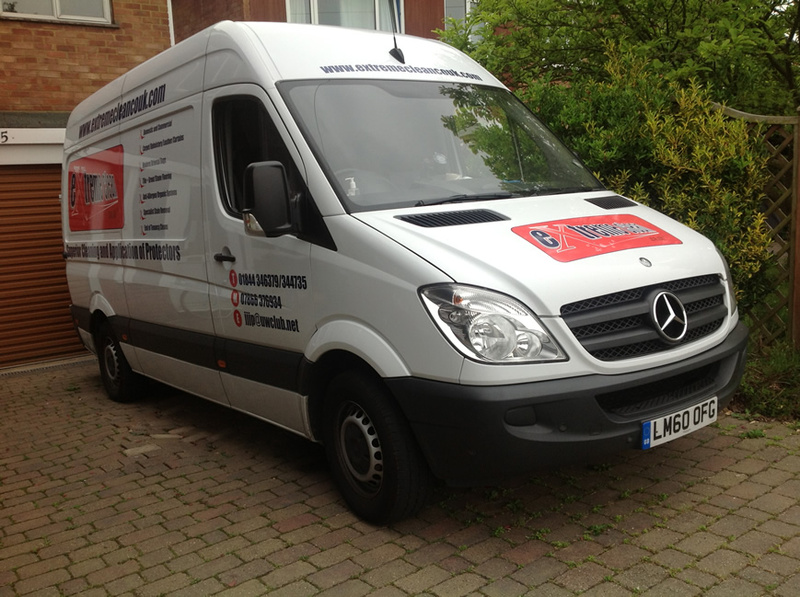 We provide a specialist service to both the Domestic and Commercial markets. Originally we specialised purely in soft furnishings (carpet/upholstery/curtains) but due to many requests by existing customers we gradually diversified also into the cleaning and protection etc. of various hard floor surfaces. This diversification was simple as we already operated an extremely powerful Truckmounted Cleaning System which delivers extraordinary high levels of pressure/vacuum and heated water when required. 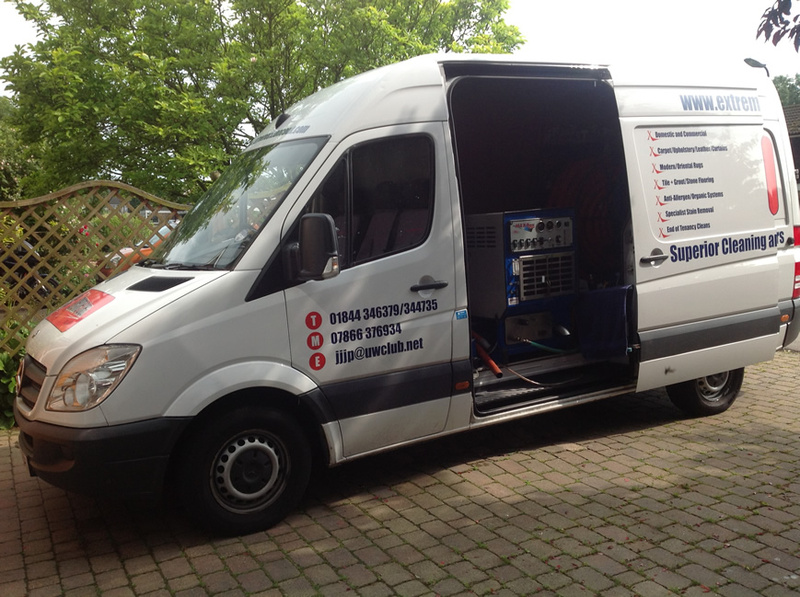 It also delivers fresh water from an onboard tank and recovers the soiled water to a waste tank on the van. Following any new enquiry we would normally arrange at the customers convenience a free no obligation quote and site survey, this enables us to determine the best cleaning method for each particular situation, whilst giving an honest appraisal and firm written quotation. We aim to use Green/Organic solutions wherever possible and indeed can do complete cleans using only organic solutions if requested. 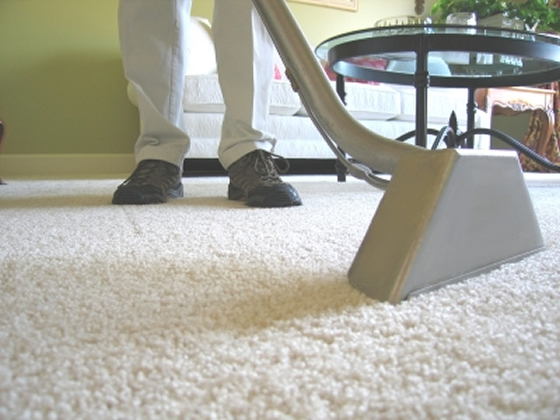 Our solutions leave no sticky residue so as to avoid the problem of re-soiling. Following a clean we can supply an individual bottle of organic stain remover to our customers, complete with instructions for use, so that their freshly cleaned furnishings can be kept in tip-top condition for as long as possible. This can be supplied at minimal cost and is specially formulated to leave no sticky residues unlike most readily available proprietary solutions which can be obtained from supermarkets etc. Approximately 85% of our work is either from repeat custom or recommendation – something we’re extremely proud of. We are fully insured with extensive public liability/treatment risk insurance – a copy of which can be supplied on request. Milton Keynes, Buckingham, Aylesbury, Princes Risborough, Wendover, High Wycombe, Prestwood, Great Missenden, Stokenchurch, Beaconsfield, Gerrards Cross, Amersham, Chesham, The Chalfonts, Denham, Uxbridge, Bourne End, Flackwell Heath, Marlow, Haddenham, Long Crendon, Bicester, Thame, Chinnor, Watlington, Wallingford, Oxford, Henley, Maidenhead, Slough, Reading, Newbury, Windsor, Tring, Berkhamsted, Hemel Hempstead, Bovingdon, Rickmansworth, Chorleywood, Watford, St Albans, Leighton Buzzard, Toddington, Dunstable.